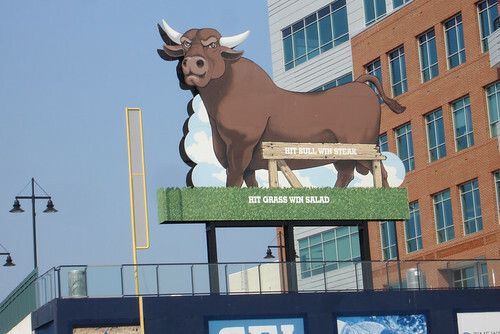 Durham Bulls 2010 Baseball Season Starts Today! 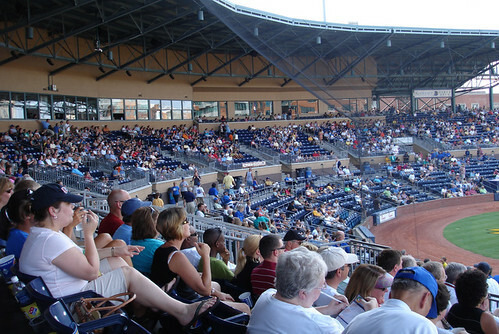 The Durham Bulls open their 2010 season with a “Spring Training Showdown” game against the Tampa Bay Ray’s today, Saturday April 3rd at one o’clock. 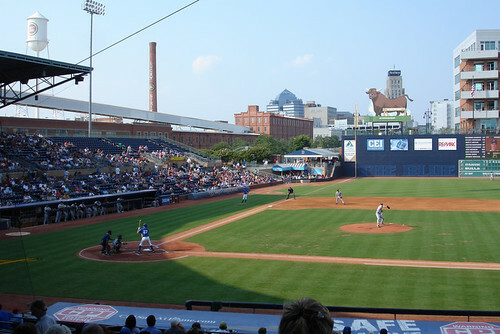 After today’s season opener they will hit the road for two weeks of away games in Virginia and Georgia before returning to Durham to play the Norfolk Tide at home on April 15th. 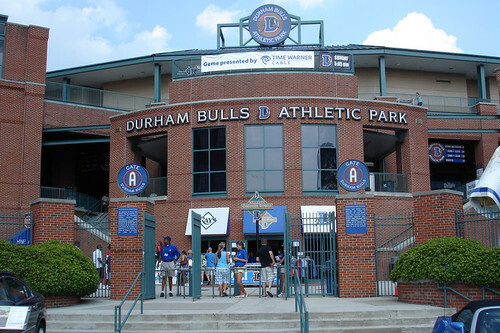 If you live in the Triangle you need to go to at least one Durham Bulls game for the experience. Even if you aren’t a huge baseball fan it is still a great way to spend the afternoon. Ticket prices are very affordable ranging from $7 to $9 and can easily be purchased the day of the game at the box office. A popular option is to head to the game a little early and hang out at Tyler’s Taproom across the street to grab a few pre-game beers. The games are fun to watch and they have min-events between innings with thing like fan summa wrestling and kids racing Wool E. Bull around the bases. The food at the stadium is pretty good (my wife claims to have had the best bean burrito she ever had there) and not as expensive as pro-events. Beers go for around $5 and $6 and hey even have some good NC Carolina beers on tap. During the summer home games on Friday nights include a free fireworks show after the game. It’s actually a really good little show and worth sticking around a few extra minutes to see. They also have a special fireworks show for the 4th of July celebration. Those games are usually the most popular and probably the only time you really need to think about buying tickets in advance since they do sometimes sell out. I tend to favor evening games. The temperatures during the spring games in manageable but it can get quite hot during the summer. If I do catch a game during the warmer summer months I try to get tickets in a section that has a portion of the stadium roof overhead to provide some shade and protection from the sun. You can view the stadium seating chart here. I’m looking forward to catching several games this season and I highly recommend you check one out if you get the chance. 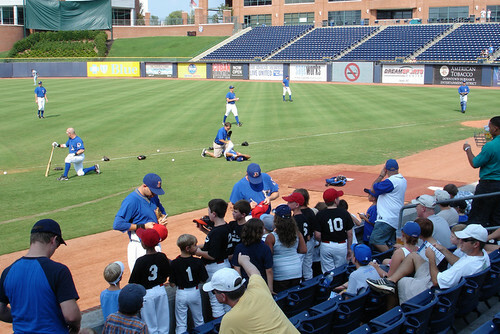 You can view the full 2010 Durham Bulls schedule here.